We headed over to Restoration Farm, our CSA, today to put in a little work and visit the chickens. 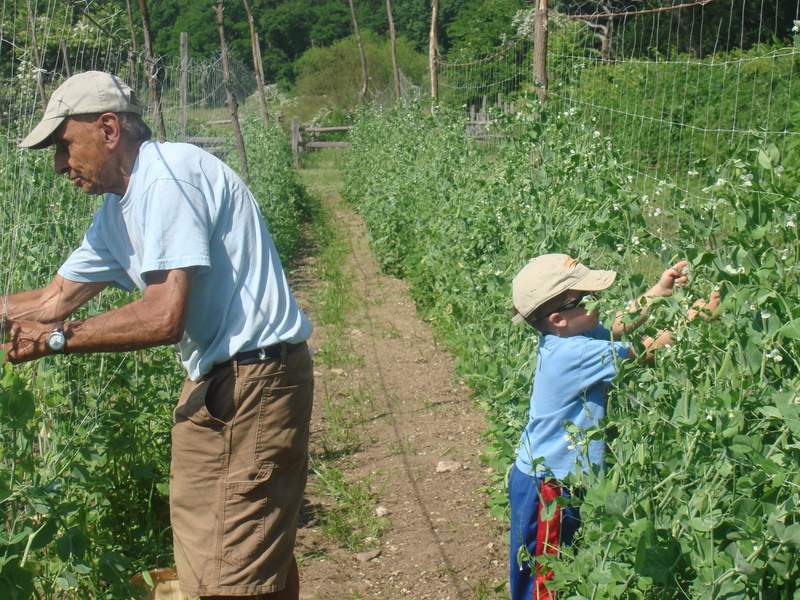 Leandro was a champion snap pea picker (he remembered his skills from last year) on this bright sunny day that showed hints of what a sweltering hazy, hot and humid Long Island summer can be. Many peas didn’t make it to the basket, as they ended up in his mouth. He won’t yet eat the pods, preferring to open them up and eat the tiny peas inside, edamame-style. It’s a start. And at least he knows they grow on vines, not exclusively in the frozen food section! Mommy gets the pods, which are wonderfully crunchy and bright. 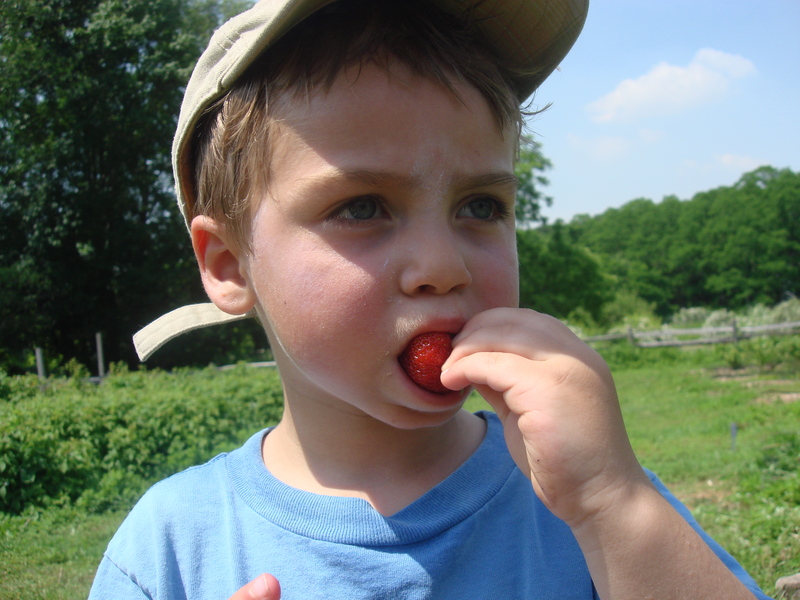 The boy was also introduced to the delights of picking strawberries, but won’t get a chance to pick his own quart until our pick-up day, later this week. Whether any berries he picks will actually end up getting home is doubtful. I will have to make sure he doesn’t get out of hand. He can devour a pound of strawberries at a sitting and since they are amongst the most chemical-laden of fruits when conventionally-grown (see http://ewg.org/) and very expensive to buy organic, I hope this is a good year for strawberries in our neighborhood! We visited the chickens, of course. He still loves Donna’s future egg-layers and their roving chicken coop (now painted a proper barnyard red), but the now five-week-old eating birds, not so much. “Ew! Stinky!” is all I got out of him today, as he ran away to see what he could spirit out of the berry patch. 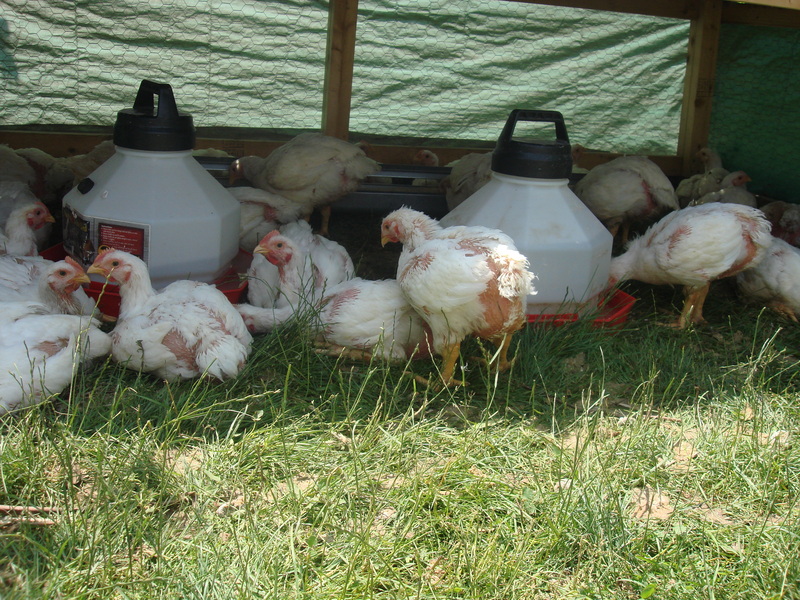 As we get closer to our first installment of locally pastured chickens, I am starting to think about what irresistible dish to concoct for him…. Where is Restoration Farm and can we visit (even if we don’t participate in the CSA)? Hello Cara! This is the website for Restoration Farm……It is on the grounds of the Old Bethpage Restoration Village; idyllic setting! The farmstand open on June 18. More information to come!